Park City continues working towards its goal of being net-zero energy by 2030. The City’s sustainability staff presented some strategies for getting there at the City Council retreat Thursday. Park City Sustainability Manager Luke Cartin outlined the City’s plan for moving towards its net-zero energy goals, including reducing energy use and shifting from carbon to more sustainable energy sources. Cartin pointed to an action the City took in the past year to reduce electricity use by increasing the number of light switches at the MARC, from only four to dozens, so the whole facility doesn’t need to be lit up at the same time. "Let’s say someone’s playing tennis on court two—it’s early in the morning, people aren’t really using the track—we can actually shut off the lights on court four, dim the lights on courts one and three, and now, all of the sudden, we’re just lighting the tennis court," Cartin said. "We can actually now turn off sections of the gym lights, so if one person is out there shooting free-throws, we don’t need the entire gym lit up." Looking ahead to 2030, Cartin mentioned some larger projects in the works. Park City has been collaborating with Salt Lake City, Summit County, Rocky Mountain Power and state regulators on a bill assisting communities statewide with committing to 100% renewable energy by 2030. The legislation hasn’t been made public yet, but Cartin anticipates it will be revealed by its legislative sponsors this week. 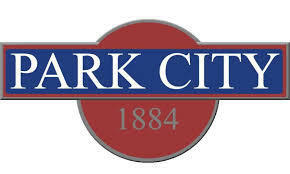 Cartin recommended four different policies to the council to consider moving forward, including allowing the sustainability team to actively engage with other mountain communities and organizations to adopt goals like Park City’s. Councilmember Steve Joyce expressed concern that, while the City has goals lined up, he would rather the sustainability staff share fully realized achievements. "I see us at this point where at least 2019 and probably 2020 is where we’re going to start flipping a whole lot of these things that were ambitions and goals and desires to successes," Joyce said. "And that, to me, is really where the rubber meets the road, and that’s where you can stand up in front of people and go, see, it works." Councilmember Becca Gerber argued that there’s no time to waste in encouraging other communities to do their parts in combatting climate change. "I just don’t feel like we have time to wait; I feel like this is going to be one of the big, urgent, defining issues of our time," Gerber said. "It already is the urgent, defining issue of our time, and I think this conversation would be very different if we hadn’t gotten snow all winter." The Council also agreed to look at further engaging residents in working towards sustainability, such as by incentivizing xeriscaping and educating HOAs on steps they can take to become more eco-friendly.